An intimate evening of Bossa Nova performed by leading exponents of Brazilian Music in Australia – Perth based Brazilian singer Juliana Areias and Australian virtuoso guitarist Doug de Vries ‘s Trio – touring from Melbourne – featuring singer Diana Clark and percussionist Al Kerr – interpreting Jobim and other Brazilian pioneers such as master guitarists Baden Powell, Raphael Rabello and Yamandu Costa – with just voice, guitar and percussion delving into the essence of this subtle yet rich repertoire. 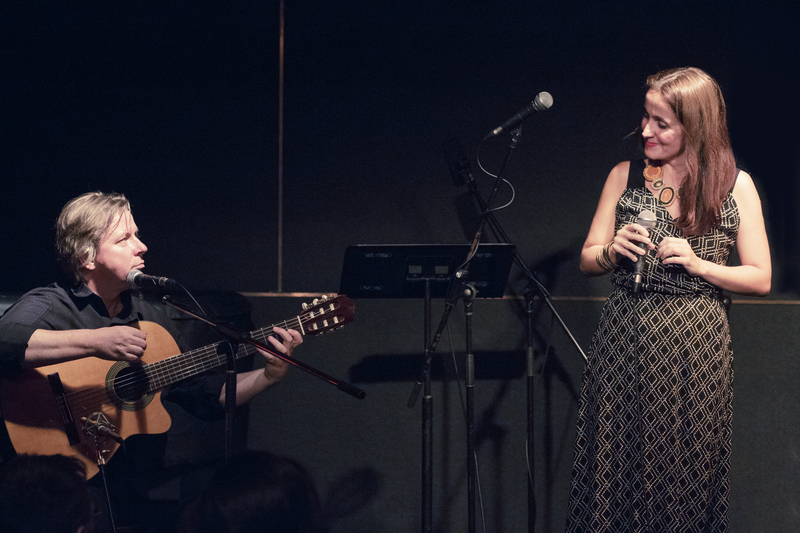 When jazz guitarist Doug de Vries first became smitten with Brazilian music, he had no idea that his affectionate flirtation with this music would blossom into a full-blown affair – and then an enduring relationship. 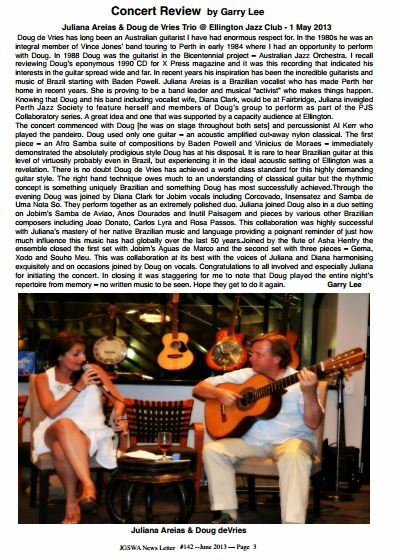 Over the past decade, de Vries and his other great love (Diana Clark, his partner in music and life) have immersed themselves in the traditions of choro, bossa nova, samba and MPB (Brazilian popular music). 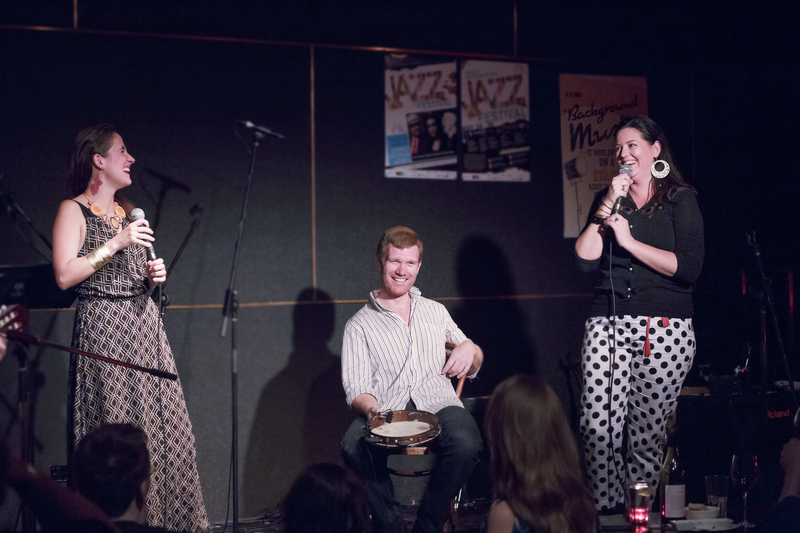 The spirit of Brazil has now seeped into their consciousness to become part of their creative DNA, informing their approach to their own jazz-infused compositions. Vries and Clark have established a loyal fan base in Australia and travel to Brazil regularly for collaboration and inspiration for their compositions. 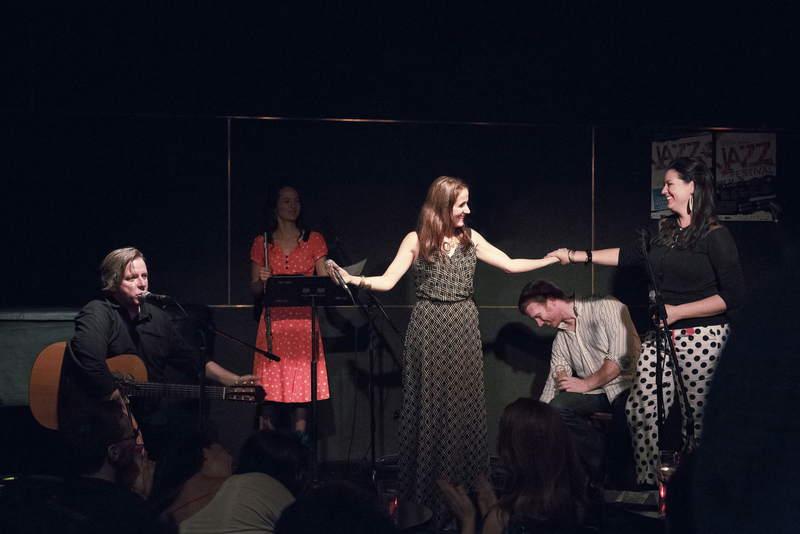 The duo’s recordings ‘A Knot in the Wood’ and ‘Three Shadows of Blue’ winning Arts Critics favour in the USA for their fine interpretations of Bossa and Brazilian Popular Music. 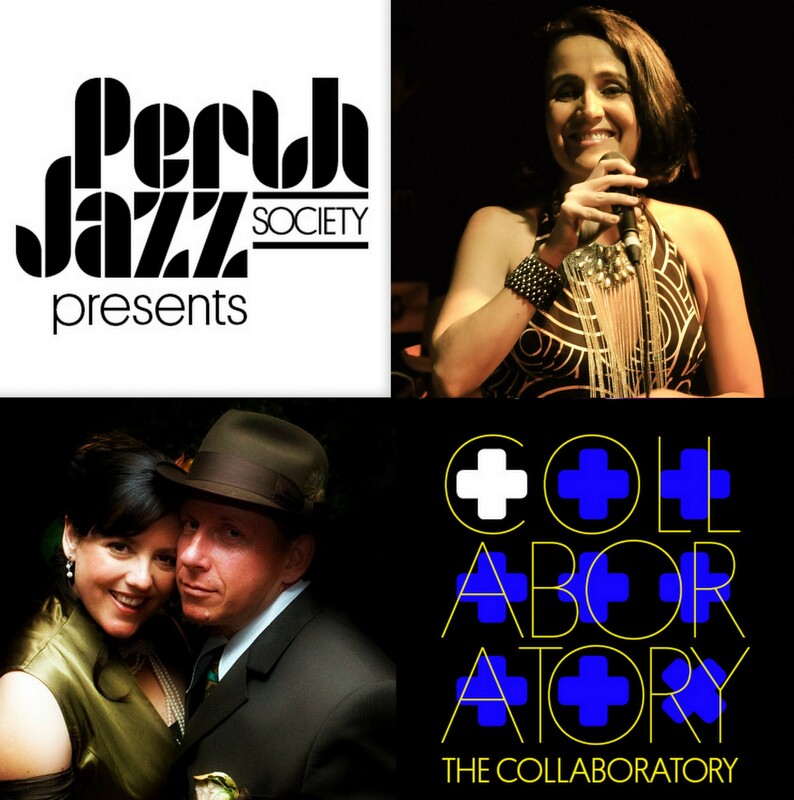 Together they have been intoxicating audiences throughout Oz, the Pacific, Brazil and beyond, selling over 12,000 independent releases. 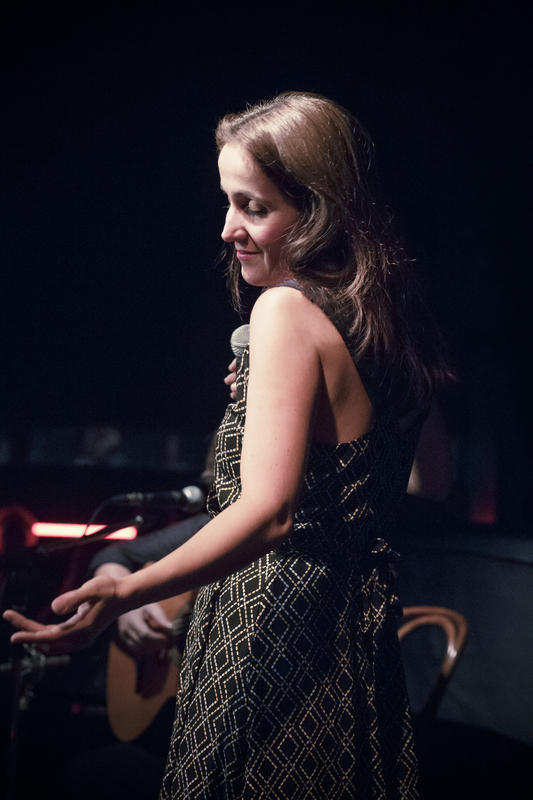 De Vries’s have performed with Brazilian Jazz Stars Yamandu Costa, Mauricio Carrilho, Hermeto Pascoal, Luciana Rabello, Jorginho do Pandeiro, Proveta and Lula Galvao and also toured and recorded with major Australian artists such as Don Burrows, Kate Ceberano, Anthony Warlow, Paul Grabowsky, Vince Jones, and Judy Jacques, as well as Barbara Morrison and Andy Bey from the United States. 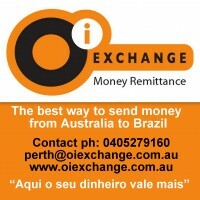 Juliana Areias sponsors: Oi Exchange, Totem Australia, Daniela Collection and Total Brazil Beauty.